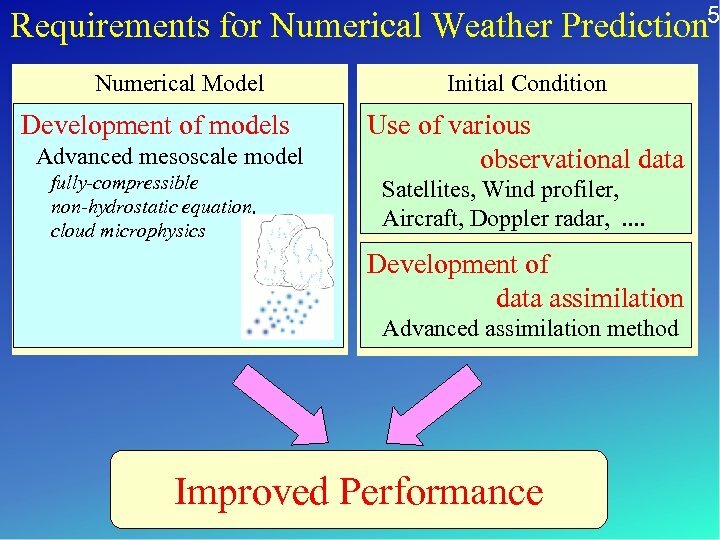 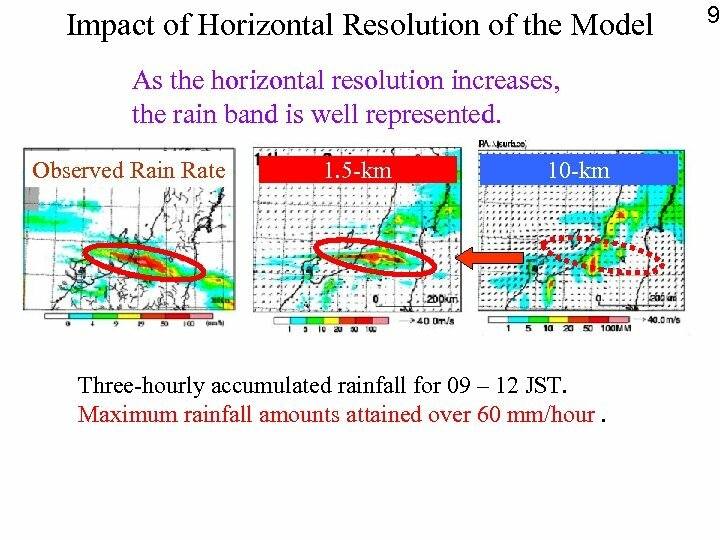 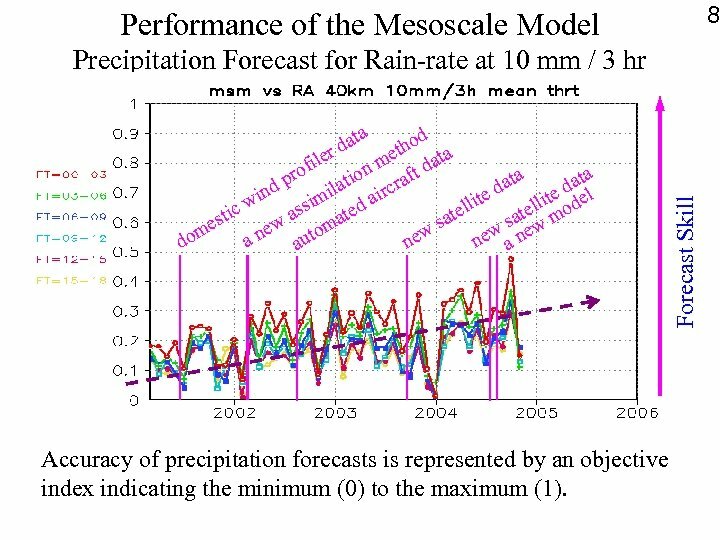 6 Impact of the New Model Mesoscale Model Forecast of Heavy Rainfall Observation New Model Old Model Rain Rate (mm hr-1) The new model shows better performance as compared to the old model. 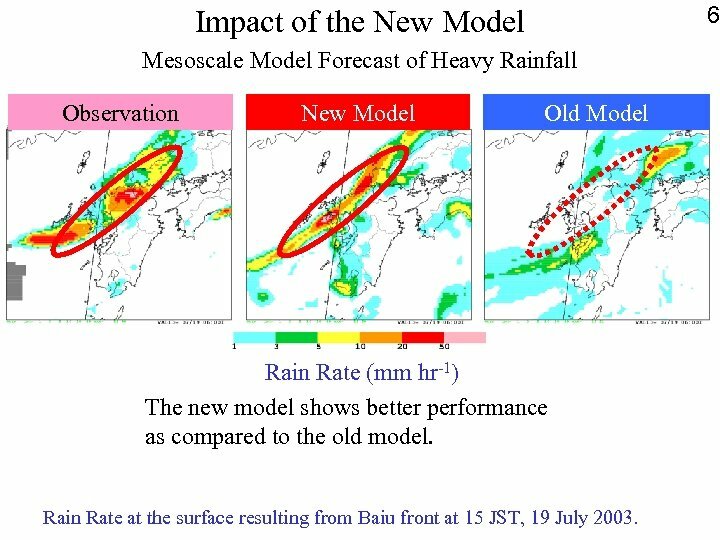 Rain Rate at the surface resulting from Baiu front at 15 JST, 19 July 2003. 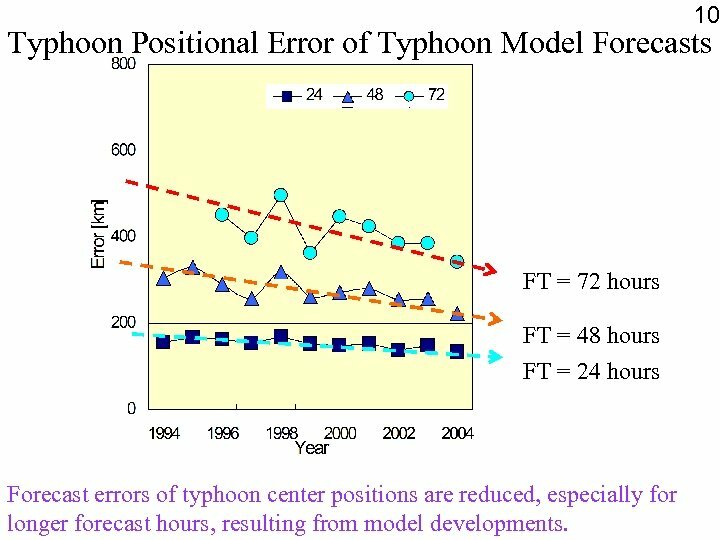 10 Typhoon Positional Error of Typhoon Model Forecasts FT = 72 hours FT = 48 hours FT = 24 hours Forecast errors of typhoon center positions are reduced, especially for longer forecast hours, resulting from model developments. 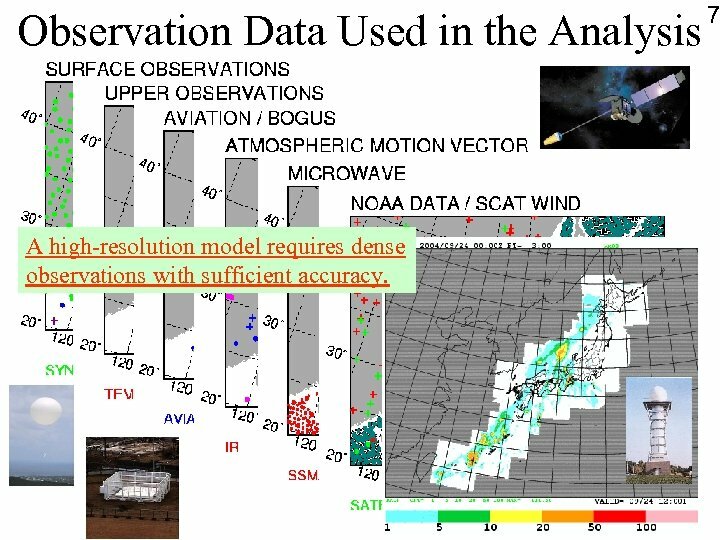 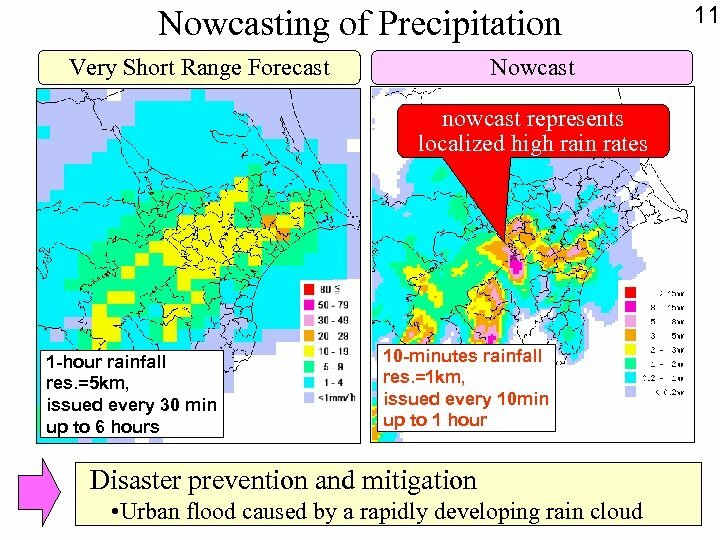 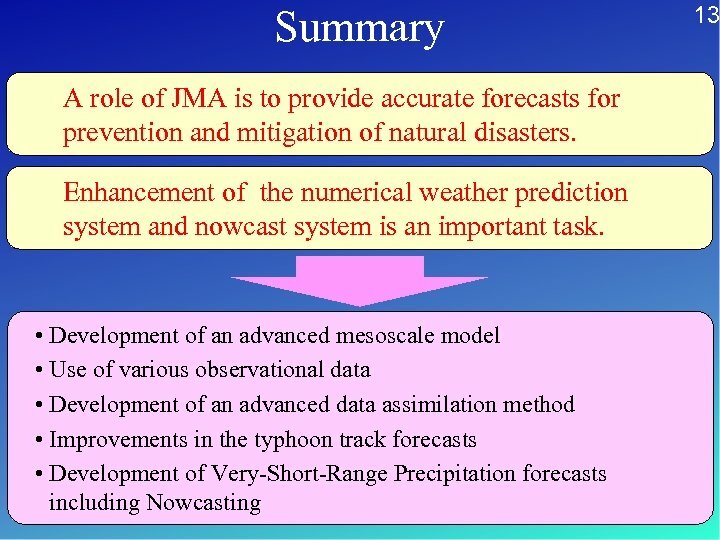 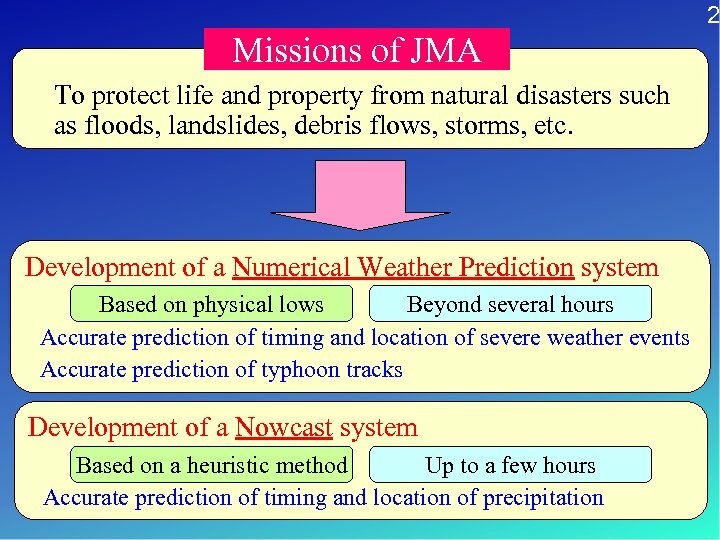 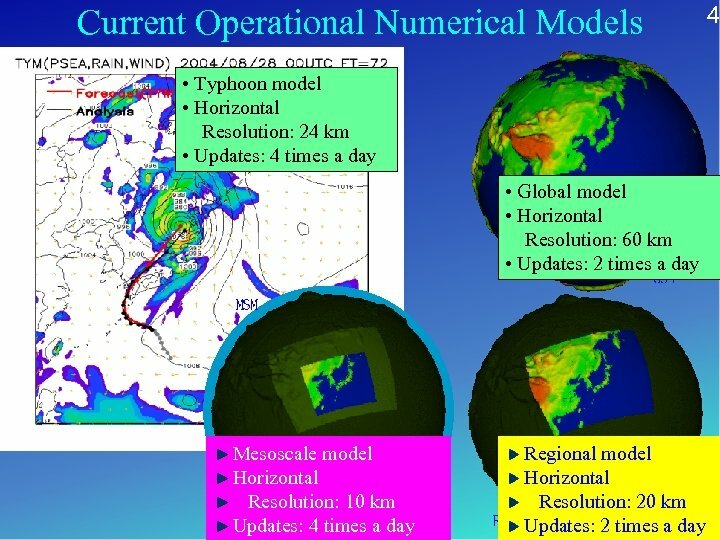 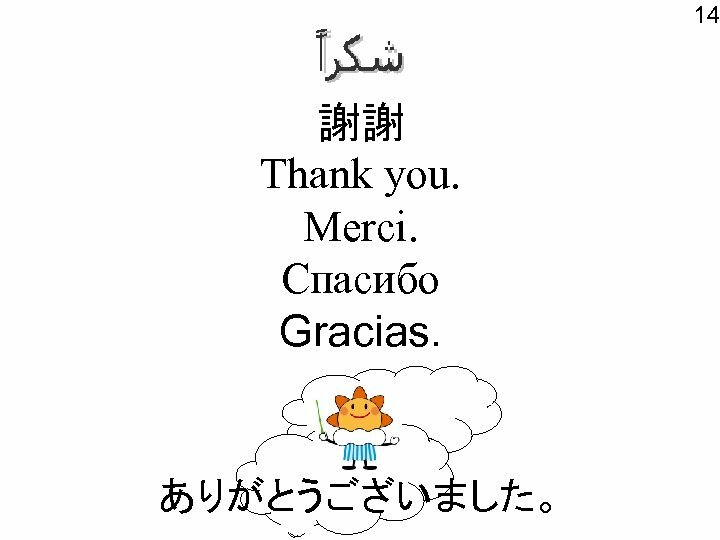 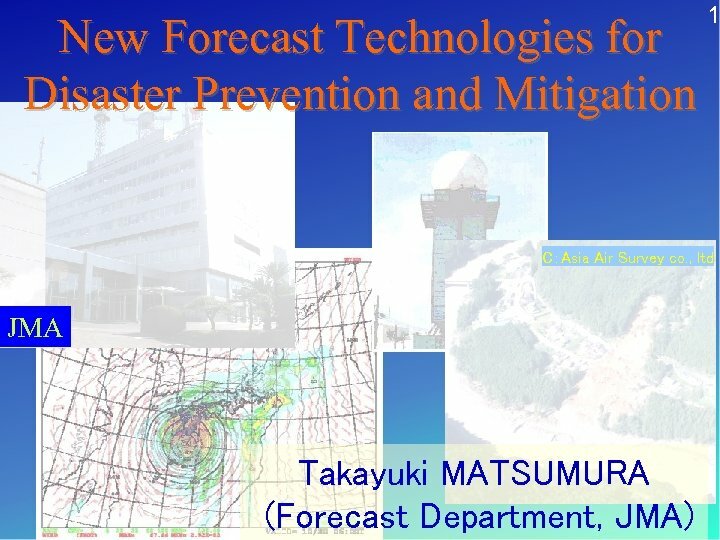 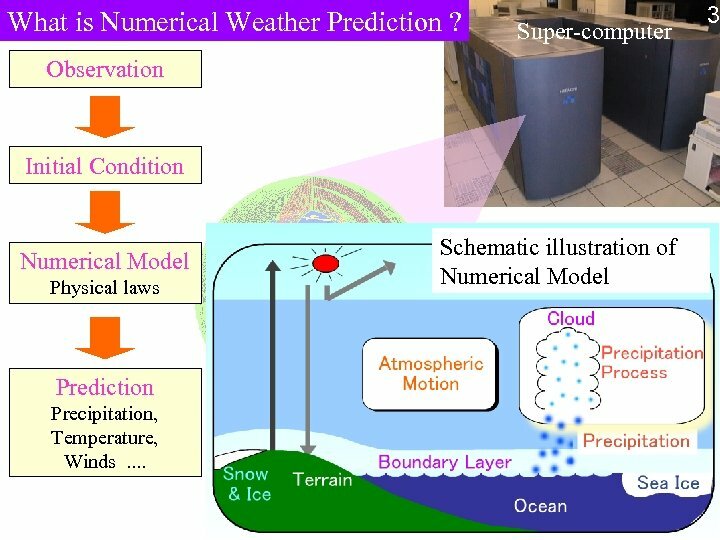 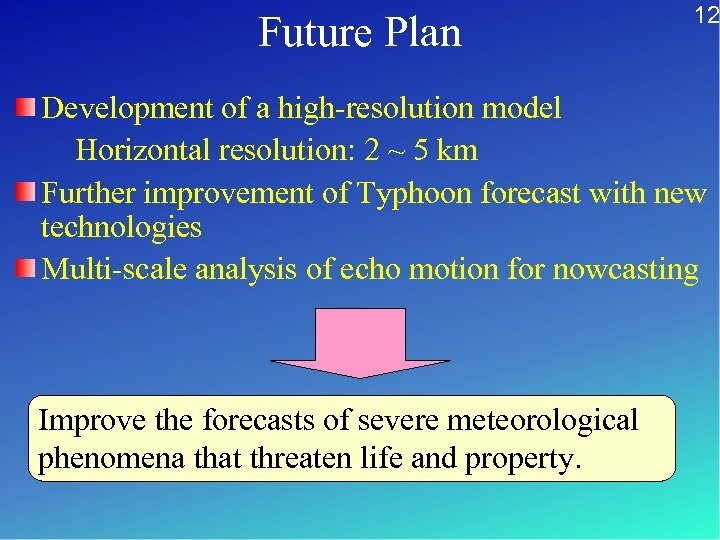 Future Plan 12 Development of a high-resolution model Horizontal resolution: 2 ~ 5 km Further improvement of Typhoon forecast with new technologies Multi-scale analysis of echo motion for nowcasting Improve the forecasts of severe meteorological phenomena that threaten life and property.